For those who are unfamiliar with Dim Sum, it is a form of Chinese tapas that is normally served for brunch/lunch. 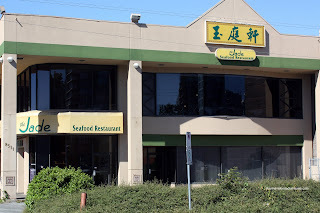 In the GVRD, there appears to be 3 distinct levels of Dim Sum. 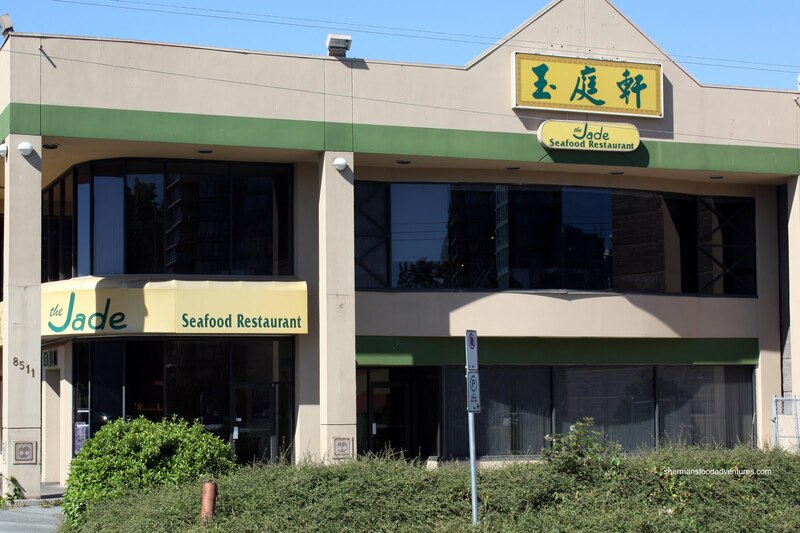 First, we have the hole-in-the-wall, inexpensive Dim Sum which normally runs around $2.50 - $3.00 per dish. Second, we have the middle-of-the-road pack that serves up these dishes at $3.00 - $4.00 each. Lastly, we have high-end Dim Sum that sees an average price of $4.00 - $5.00 per dish. Now what does the premium get you? Well, a nicer venue which normally includes washrooms that are not dangerous to your health. Hey, it's an important feature to many! I honestly cannot understand why so many Chinese restaurants treat their washrooms like the bottom of their shoes. In fact, I think the bottom of their shoes would be cleaner... I digress. In addition to nicer washrooms, the service is relatively better. I say relatively because even the best service at a Chinese restaurant would be considered embarrassing at other places. Lastly, the raw materials are expected to be better as well. Is it worth paying for? Well, Rich Guy and I were about to find out on our visit to The Jade for Dim Sum. 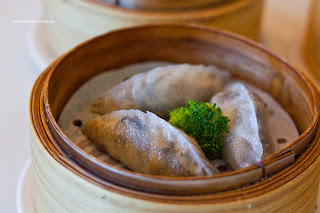 Now, Dim Sum is not complete without having their CRA-winning dish - Mushroom Dumplings. A combination of mushrooms encased within a thin rice flour wrapper, these are in fact very good. I wouldn't go as far as to say it is necessarily a "wow" thing; but it's good nonetheless. Something about the umami-ness of the mushrooms make the dumpling. Of course the perfectly cooked wrapper helps too, it's slightly chewy/gummy while still easy to eat. We were curious about their version of the Dumplings in Consume because it was not like the usual "goong tong gau" we are familiar with. 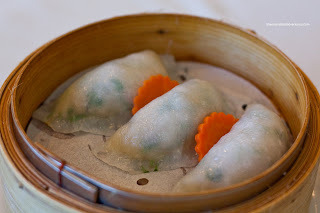 Rather than one big dumpling, there were 3 shrimp "wontons" with wood ear mushroom. They sat in a flavourful chicken broth with one piece each of dried scallop, baby abalone, sea cucumber and dried fish maw. This was a very upscale version and it delivered. Good quality ingredients and perfect execution. However, I'd prefer one big dumpling over the small little wontons. The Haw Gow (Shrimp Dumplings) were very good. 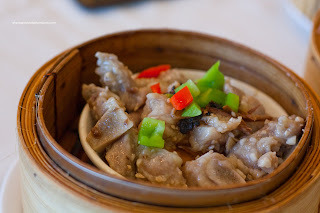 The dumpling skin was the perfect texture exhibiting a slight chewiness. It was neither gummy or too thick. As for the filling, the whole shrimp had a nice snap and the natural sweetness of the shrimp and sesame oil just tasted great. Now for the ying to the yang, the Sui Mai (Shrimp & Pork Dumplings). These were equally as good. A good combination of bouncy pork and shrimp, these also tasted quite good. Continuing on the dumpling theme, we decided to give the Crab Dumplings a try. Often, whenever "real crab" is used in such things like sushi and dumplings, it seems to get lost. It's such a delicate ingredient, it doesn't take much to overwhelm it in terms of flavour and/or texture. The same could be said about this dumpling. With a mix of cilantro and ground pork, the crab seemed to be MIA. Not a bad dumpling by any means, the crab was just not apparent. What was not lost was the shrimp in the Rice Noodle Roll. 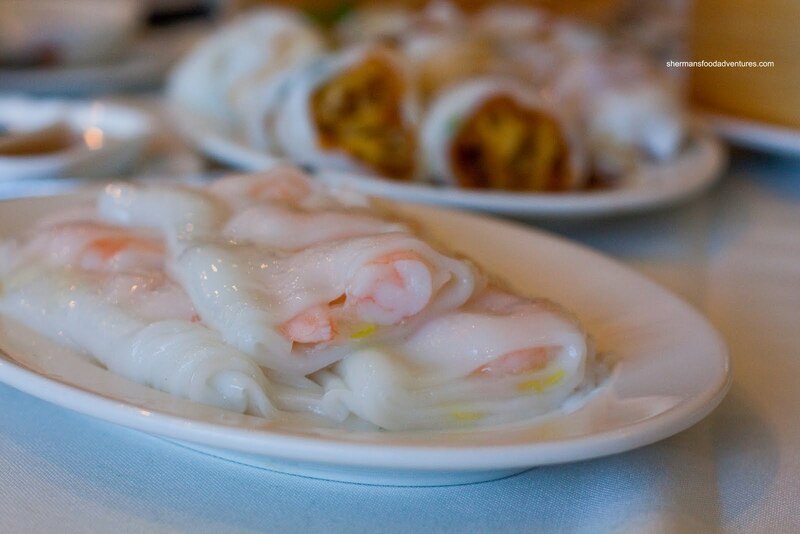 The perfectly cooked cold-water shrimp had a nice snap and were encased in soft rice noodle. Although soft, the rice noodle still had a slight resistance; which kept it intact once picked up with chopsticks. I liked the addition of yellow chives as it both gave colour and flavour. Now, the excellent rice noodle couldn't save the Ja Leun or Salty Donut Rice Noodle Roll. Despite the equally soft rice noodle roll with the addition of green onion, the salty donut itself killed the dish. The donut was greasy, overfried and too crispy. I realize this dish is more about textural contrasts then flavour itself (since the main flavouring agent is sweet soy and hoisin/sesame sauce); however, this was way too much of a contrast. Another dud was the Pan-Fried Taro Cake. 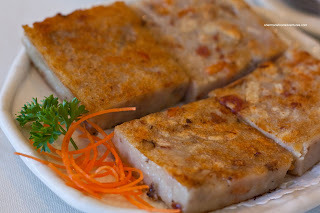 A close cousin to the daikon radish cake, this is remarkably more dense and rich in flavour. Now being more dense is one thing; but this particular version was very hard and dry. When we were chewing, it became mealy and if we didn't have tea on hand, it would've been a bit difficult to swallow. Flavour-wise, it was good though. A rich taro flavour accented by dried shrimp and Chinese sausage, it was too bad the taro cake suffered from a lack of water when they made the paste. One thing they did get right was the pan-frying. Although uneven, it was crispy and aesthetically pleasing. On the flip side, the Steamed Spareribs were very good. First of all, the ribs were quite meaty and there was very little in the way of cartilage and fat. Secondly, the texture was a good combination of a slight chewiness and being tender. We liked the addition of peppers as it added a level of sweetness to compliment the black bean and garlic. Lastly and yes, it actually arrived last, was the Egg Tarts. I guess that is one of the benefits of paying more for Dim Sum, there is a chance that the proper order of food expedition will occur. 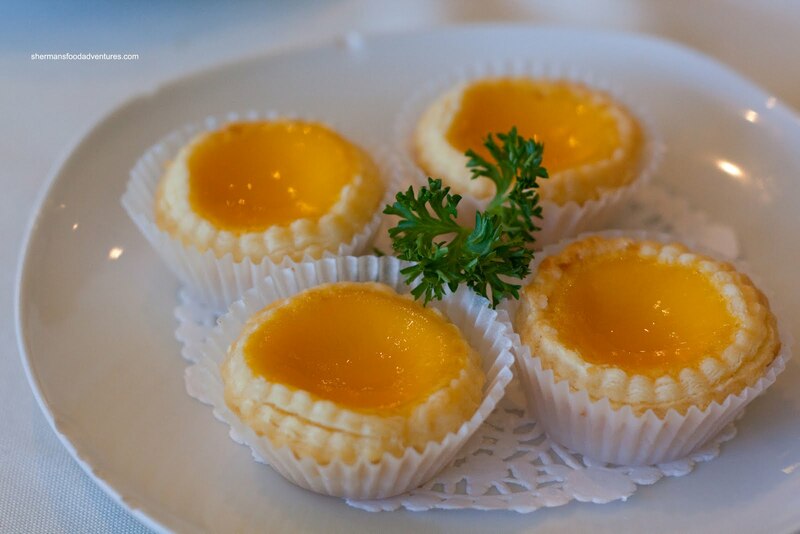 Despite their modest size, the egg tarts did pack a punch. The flaky pastry yielded a good amount of egg custard that was semi-sweet and the right balance of soft; yet not watery. With that being said, these were amazingly small. This brings up an interesting point. With the high prices and modest portion size, The Jade services specific clientele. Consider this, we shared 10 dishes and we were not stuffed. We weren't hungry by any stretch of the imagination; but we could've eaten more. The total bill including tip came to over $65.00 for 2 people. Now with that high price tag, there is a certain level of expectations in terms of food quality. 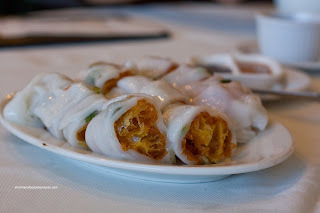 On the whole, Dim Sum was quite good except for 2 dishes. Rich Guy and I discussed that fact. We came to the conclusion that if 80% of the dishes were good, that is acceptable. On the other hand, the prices don't allow for much room for error either. Is it acceptable to have 2 sub-par dishes at roughly $5.00 each? We really couldn't come to a consensus. That is probably why I will remain indifferent despite some really good dishes. 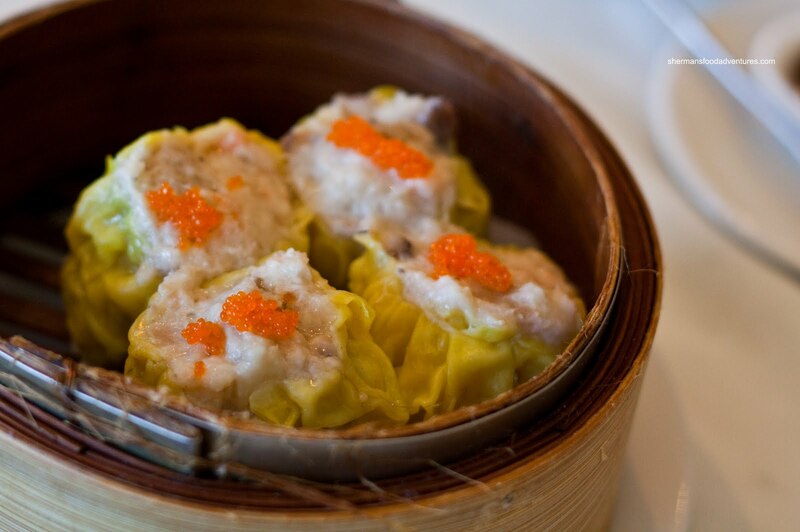 what do you think makes the har gow so great in some places? is it completely hand made and never frozen? i'm sure some places use frozen or mass produced, whereas some have this age old expert in the kitchen with carpal tunnel. 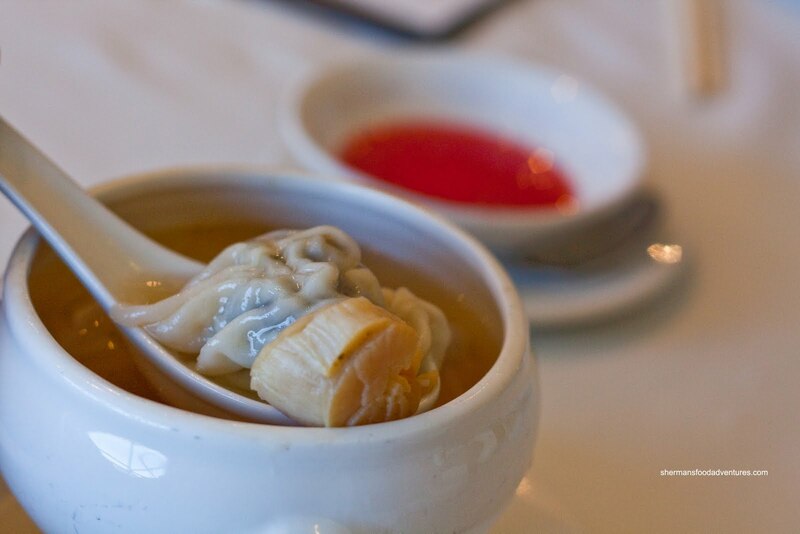 it would be a boon to have an inside look at a dim sum kitchen. @Zud, you are right, the freshly made ones are always better. I find the skin on frozen dumplings can suffer freezer burn or cracking. Naturally, the filling is not as fresh on frozen dumplings; but then again, the shrimp used is generally the frozen type anyways. To answer your question about haw gow specifically, I think a great one is generally one that is decent in size. We all want better value right? 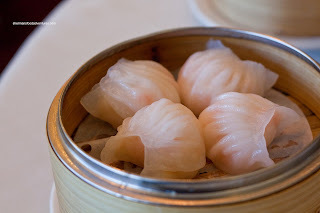 Furthermore, the smaller ones are more dumpling skin than shrimp, thus you don't get enough "snap" from the dumpling. Naturally, the shrimp matters as well. The shrimp must be good quality and be rinsed under cold water for a good amount of time to attain the "crunchy" texture rather than a chewy texture. For me, I prefer more whole pieces of shrimp and a bit of binding agent (such as shrimp mousse, pork fat) rather than an overwhelming amount of shrimp mousse. I personally do not like the addition of bamboo shoots. I find it detracts from the shrimp. In terms of seasoning, there shouldn't be too much, since it is a delicate item. Just enough white pepper, salt and sesame oil to taste. And lastly, the cooking time is very important. Overcook, and you have a wet wrapper and gummy shrimp. Undercook and the shrimp is partially raw and the skin will be doughy.